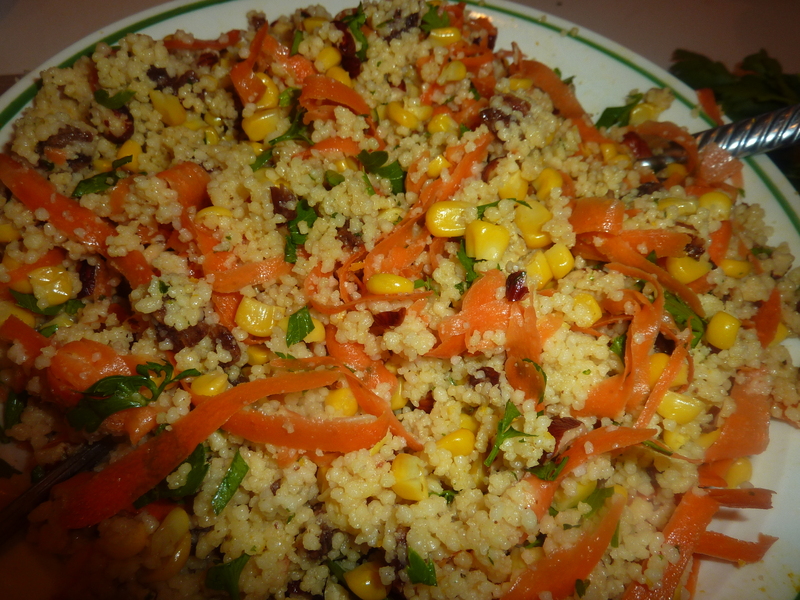 Couscous with fruits, nuts and vegetables is so good. 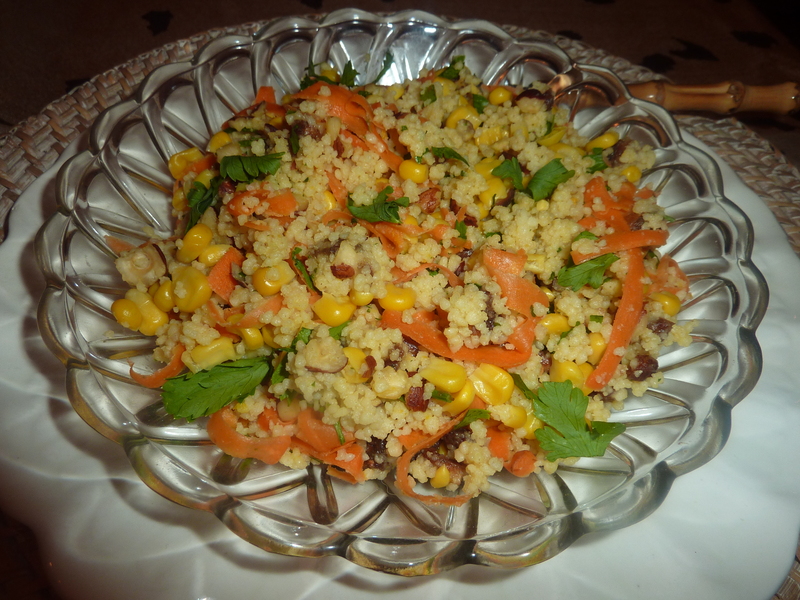 Originally I had this salad many years ago on safari in East Africa and usually have all the ingredients, but I must say I make it a little bit different each time and love it just as much. 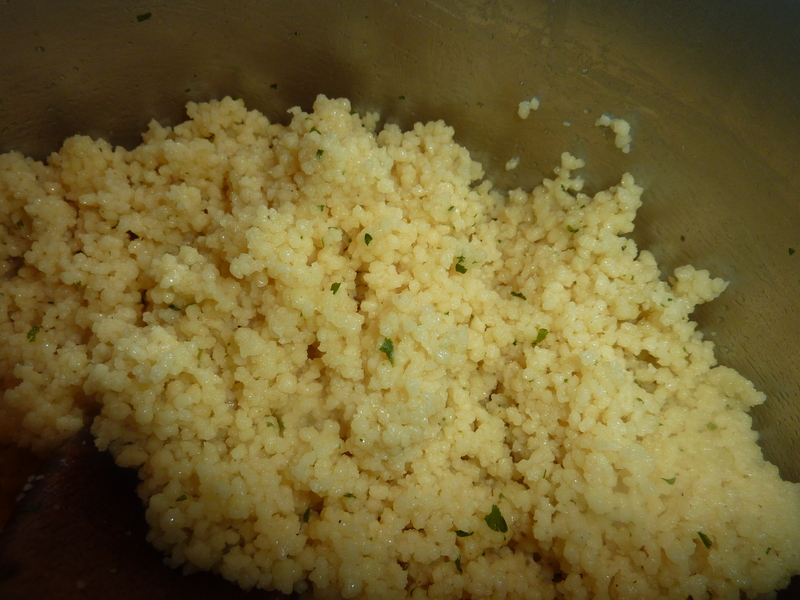 I have also served it warm as a side dish or serve with some roasted meats or fish.